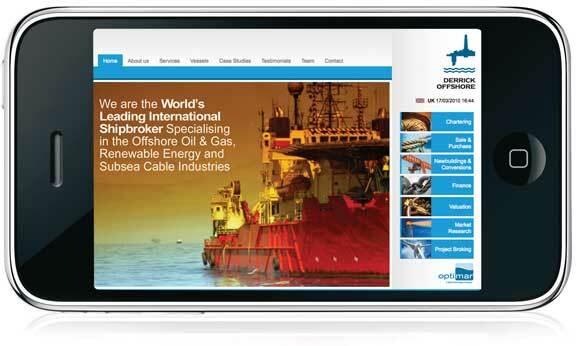 Design Inc has recently completed a new multipage website design project for Surrey-based Derrick Offshore Ltd.
Derrick Offshore is a leading international shipbroker in the offshore oil & gas and subsea cable industries and approached Design Incorporated earlier this year for high-quality website design services. Effective search engine optimisation procedures (keyword research, site optimisation, Google-led copy, Blog facility, RSS feed) were carried out. See more examples of our work within this industry.